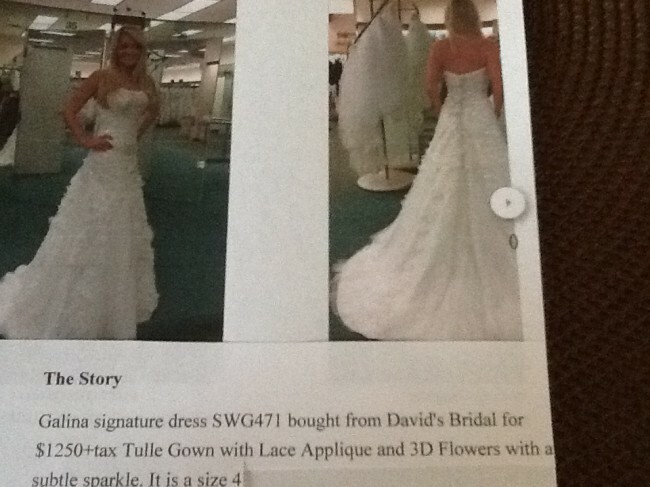 This is a Galina signature dress SWG471 bought at David's Bridal. It is tulle gown with lace appliqués and 3D flowers with subtle sparkle. Never worn or altered. Bought by son....engagement broken. Size 4 in great condition ,kept at consignment shop not sold . I would love for someone to be able to have this.